In Morals and Dogma of the Ancient and Accepted Scottish Rite of Freemasonry (1871), Episcopalian-Freemason of the Scottish Rite, Albert Pike writes exaggeratedly and ponderously in question, “LUCIFER, the Light-bearer! Strange and mysterious name to give to the Spirit of Darkness! Lucifer, the Son of the Morning! Is it he who bears the Light, and with its splendors intolerable blinds feeble, for traditions are full of sensual or selfish Souls? Doubt it not!” (Pike, Morals and Dogma, p. 321, see Ch. XIX: Grand Pontiff). In this same passage, the unfairly slandered Albert Pike writes, that the Apocalypse is the apotheosis (the putting aside) of that sublime faith that aspires to “God alone,” and “despises all the pomps and works of Lucifer.” Pike speaks insignificantly of the angel of legend in this Chapter XIX: Grand Pontiff, rather than praise the character. The strong-minded and extraordinarily learned Albert Pike, eager to share his knowledge, as many of us do, valued education, and encouraged his fellows to further their education (liberal arts) — to seek the ‘light of knowledge.’ For Pike, this ‘light of knowledge,’ he tells us in Morals and Dogma is God, the Bible, the liberal arts, and arcane knowledge, i.e., the meaning of the expressions and symbolism in traditions and old religion. In this case, it is also important to understand what Helena P. BLAVATSKY writes about LUCIFER, and also others when we aren’t getting imaginatively carried away into semi-mystical expression. This is The Secret Doctrine Index’s mentions of Lucifer. LUCIFER—is the Adversary (relative to Nemesis) in its lowest aspect and Logos in its highest aspect; both Holy Ghost and Satan; is referred to as AETHER, astral light by Levi, and Harbinger of Light; confers spiritual immortality in the legend; is the essence of the “Universal Mind” (Sk. MAHAT) and is the spirit of intellect; the first archangel from CHAOS; is an older, or higher god than Jehovah — a minor god; the name of a Pontiff and Christian sect; is (or in) the mind; was called Venus by Christians; and the Verbum are one, &c. These all have specific meanings, and is itself a jargon (or occult lingo). In her work, H.P.B. 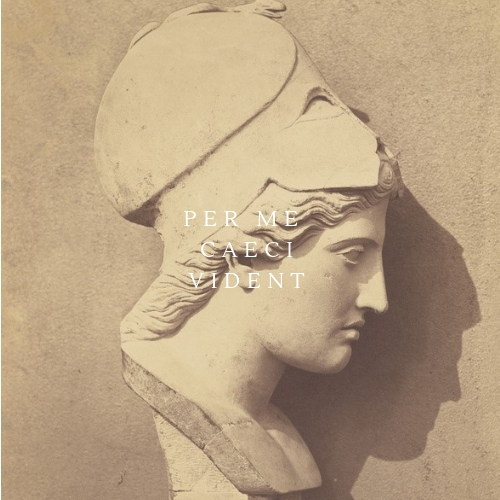 attempted to give a philosophical view, which corrects and rids the philosophical and theological issues created from the invention of the fiction; and revive the original intent and meanings from what the legend relates to in the Mysteries. The idea, that H.P.B. was reinterpreting Genesis for the diabolical nefarious purpose of spreading so-called “luciferianism” is rooted in incompetence and dishonesty of the character or accuser. Both Helena P. Blavatsky and Albert Pike were the people they were, precisely because of their strong-mindedness. While Pike was Christian-oriented, Blavatsky was not. 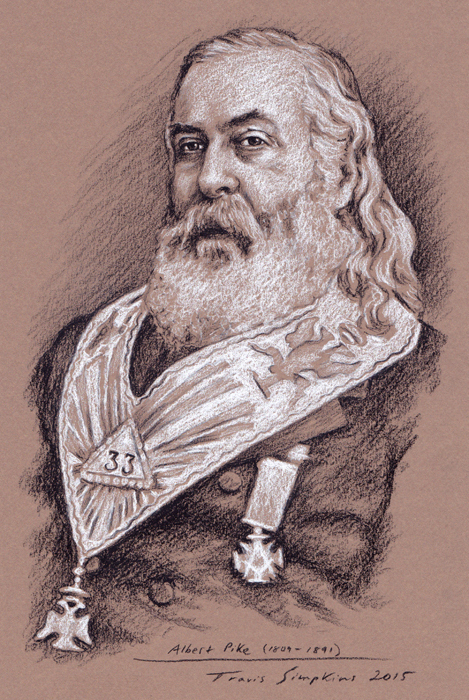 Travis Simpkins Portrait Sketch of Albert Pike. In the same Morals and Dogma as shown, Albert Pike, besides encouraging Masons to seek the light of knowledge and the liberal arts, encourages us to be protectors of the people, and to help them. We are in such predicament today in this country, because of the ignorance of the ideas behind, and the slander of such persons. Manly P. Hall says in one of his lectures, he was a tall towering giant, physically and intellectually. He is among the last of such minds who believed, lived and expressed the fullness of republican thought. Regarding education, speaking of intellect and the soul of the People, he says with power!